Marius Copil and Fernando Verdasco will meet in the second round at the ATP 250 event in Sofia, held on indoor hard. The 56th ranked Copil played the first ATP final of his career last season in Sofia (really a breakthrough year for Copil), so he has a lot of points to defend. 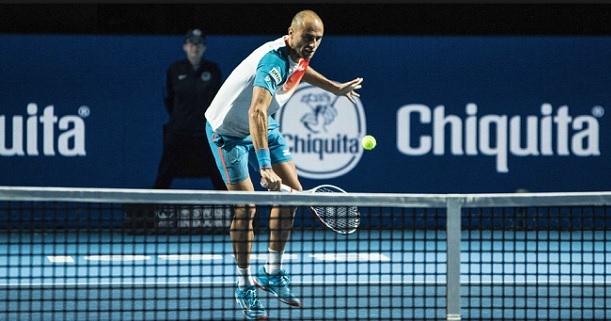 Copil started the week in brilliant fashion, defeating Stan Wawrinka 3-6 7-6 6-4 in the first round on Monday. The Romanian seems to be in good form, as he also had a decent showing at the Australian Open, where he was able to give Goffin a fight in the second round, despite eventually losing in 4 sets. Verdasco played very well at the Australian Open a few weeks ago, reaching the third round – where he suffered a heartbreaking 2-3 loss against Marin Cilic, missing a match point with a double fault. The Spaniard returned to action this week in Sofia and had an easy win in the first round, 6-2 6-1 against the unranked Lazarov. Bet on Copil v Verdasco and claim a 100% (120 Eur) welcome bonus at LSbet now! This will be the first meeting between the two players. Both are well equipped to play on indoor hard, but the surface definitely gives Copil an edge. Copil is one of the few true indoor hard experts in the game, as his big serve and overall game are perfectly suited for these conditions. His game always looks better on hard indoor and he had by far the best results of his career under the roof – including his only ATP finals, both last year (Basel, Sofia). The list of his victims on this surface include the likes of Cilic, Alex Zverev, Pouille or Wawrinka, among others – so he can definitely fight it out with the best of them. The Romanian had a breakthrough season last year and was terrific late in the season with his final showing in Basel, where he lost to Federer. He has big expectations from 2019, he played well in the first round against Wawrinka, and will feel that he can at least repeat the result he had here last year (final). Verdasco has also played pretty well this season and had a very good Australian Open, but inconsistency has always been a problem for the Spaniard, and he hasn`t been able to maintain a consistently high level for quite a few years now. His win in the first round was straightforward, but the opponent was very poor. Copil has a good chance here, and his expertise on hard indoor might actually make him the favorite. Copil`s stability on serve could end up frustrating Verdasco, and he might end up making some mistakes on his delivery, giving Copil opportunities to break. My tip will be Copil to win. I believe value lies on him, as per my analysis, so medium-high stakes of 7 units looks like a reasonable investment on this bet. Prediction: Marius Copil – Fernando Verdasco 7-6 7-5.